About Us | Lee Hoe Transport Pte Ltd.
Lee Hoe Transport has been in the cross-border freight forwarding business since 1963. During the span of more than 55 years, the company has gained a strong and reliable reputation in the industry. The invaluable experiences gained over the years have given the company its distinct advantage. The company first started as a partnership and was later converted to a private limited company in 2002. The core business of the company is land freight forwarding – which is to provide cross-border trucking services for goods and cargoes between Singapore to Malaysia and from Kuala Lumpur to Singapore. Our freight forwarding services include the collection, distribution and point-to-point deliveries of goods and cargoes from Singapore to Malaysia and from Kuala Lumpur to Singapore. The company has its Malaysia office located at Cheras, Kuala Lumpur, with an associate office in Johor Bahru to support its operations throughout West Malaysia. Its Kuala Lumpur office coordinates and manages all trucking and deliveries to other destinations like Melaka, Kuantan, Kuala Trengganu and Penang. The company operates a fleet of 20- to 24- footer trucks. With almost daily trucking of goods and cargoes from Singapore to Malaysia and from Kuala Lumpur to Singapore, it is able to offer frequent deliveries, and within the shortest possible time. 40-footer truck, chartered trucking and distribution services around KL city can also be provided upon request by clients. Besides cross-border trucking service, Lee Hoe Transport also advises its clients on customs declarations, the relevant duties/taxes payable, cargo classifications, HS code and other customs related matters. The company possesses its own Malaysia Customs agency licence for the declaration and clearance of goods at JB Customs. With 2 full- time staff stationed at JB Customs and being in full control of the movements of our trucks, we are able to monitor the movements of our cargoes from collection to delivery – making sure that deliveries are well-planned, coordinated and within the shortest time possible. Lee Hoe Transport has clients ranging from public listed companies to small and medium enterprises. Some of these companies have been its long-time customers for more than 20 years. It has established a lasting and trusting business relationship along the way – a testament to its dedicated and trusted customer service to clients. Over the years, the company has embarked on harnessing information technology to manage its operations and internal processes. It has developed customised management software solutions to enhance efficiency and productivity – integrating front operations into the back-end of the office. This allows us to provide up-to-date information to support our clients. With more than 55 years of experience, our company has gained a significant foothold in the industry and has earned its reputation as a reliable and trusted freight forwarder that is well regarded for its professionalism and excellent customer service. 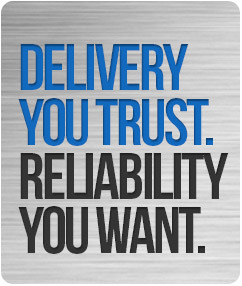 “Delivery You Trust. Reliability You Want”.